Outrageously good and soooooo easy! 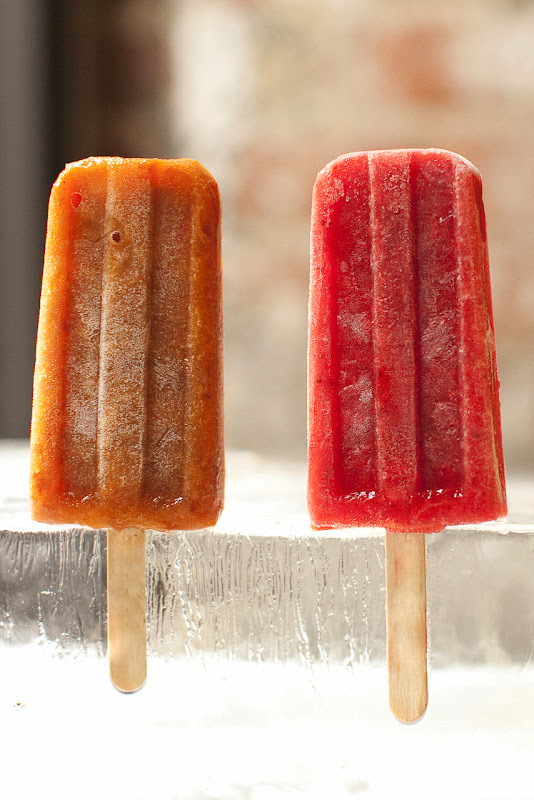 I also use ripe papaya for amazing Papaya Pops! Sprinkle gelatin over boiling water and immediately stir until dissolved, about a minute. Scoop out the red watermelon flesh using an ice cream scoop; measure out about 6 cups and add any juice left in scooped watermelon half. Puree watermelon with Splenda and lemon juice in blender then pour into a wire strainer you have set over a large bowl – reserving the juice. Stir in the dissolved gelatin. Pour into ice pop molds and freeze for several hours until frozen. This entry was posted in Bariatric Recipes, Desserts - Sugar Free, Summer BBQ and tagged Sugar Free Desserts.